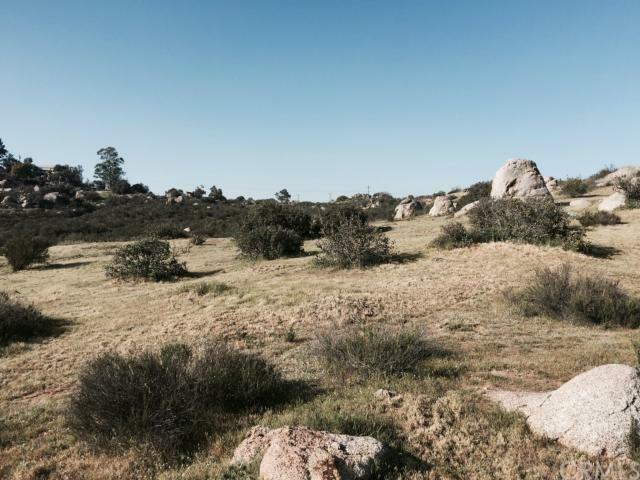 130 VIEW ACRES containing 10 total contiguous parcels. 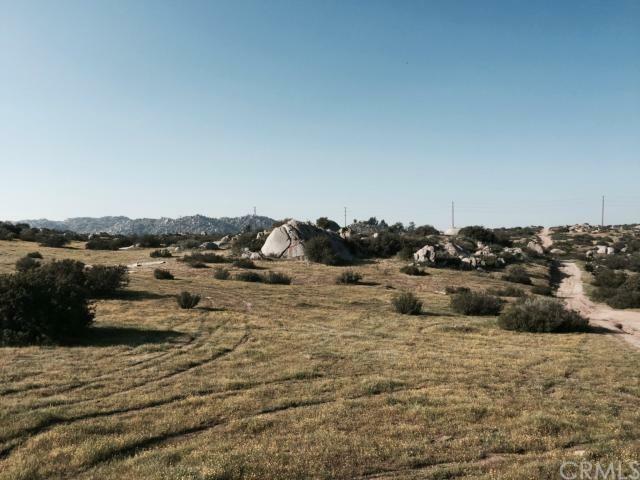 All lots are 10 to 20 acres! SUBDIVISION/DEVELOPER/INVESTOR PROJECT. Located in the scenic hills between Homeland, Nuevo/Lakeview and Juniper Flats areas. All lots have natural terrain with buildable sites. Rock outcropping & shrubs add character & VIEWS. Sky Mesa Estates GATED HOA COMMUNITY just across Juniper Flats Rd, offers minimum 5 acre lots and has many existing prestigious 2800 sq ft. min custom estate homes. Sky Mesa Phase III (N. of project) to come. Minutes N. of Highway 74 S. of the Ramona Expressway.Easy commute to I-215. Huge project COMING SOON!-"The Villages of Lakeview"-just North of Minton Rd. East of the I-215 & West of the realigned Hwy 79 for easy commute. Within the GOLDEN TRIANGLE from LA to San Diego to Moreno Valley, home of the World Logistic Center, just North of this project. 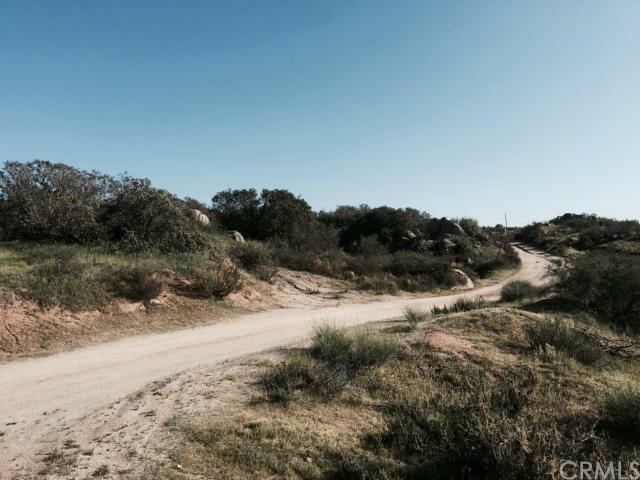 Redevelopment of entire surrounding area indicates opportunity for investor/developers.10 parcels can be SOLD together or purchased separately for CUSTOM RANCH/RANCHITO! Miles of open space riding trails. Extremely private and serene! Development options including large estate horse ranches, groves, subdivide and develop or land bank for investment. Power poles run East & West through the middle of project- insures dirt road maintenance. Water tank close to 1st parcel north of lots. 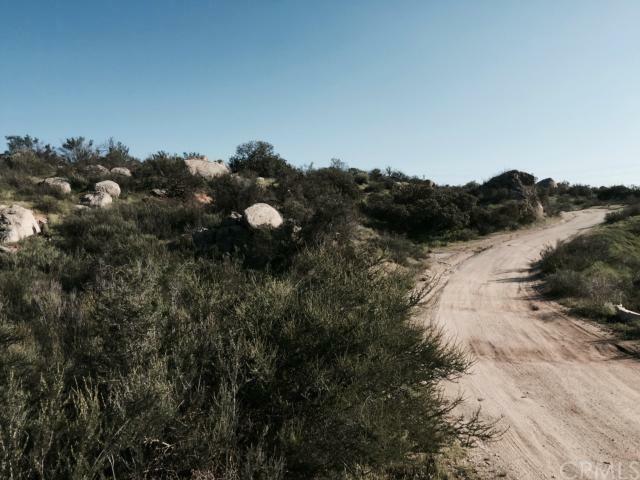 10 & 20 ACRE PARCELS included. PRICED @ under $6800 per acre! AREA GROWTH DEMANDS ADDITIONAL HOUSING! Builder/Investor Opportunity!